Join us in Gallery for the return of our popular frame sale. 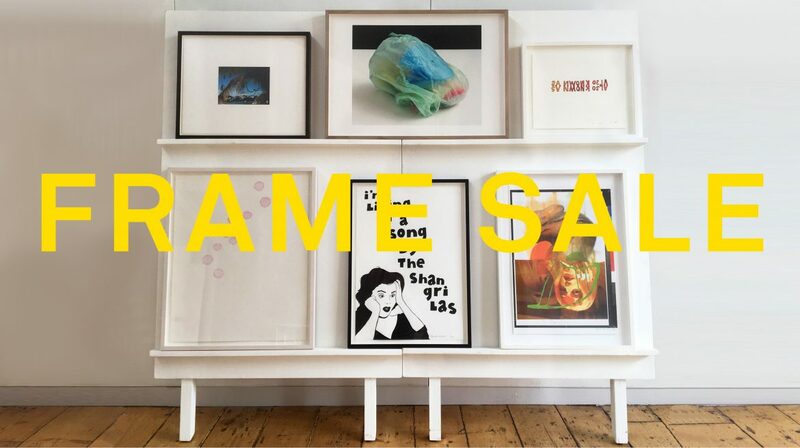 Enjoy the chance to purchase some of your favourite framed* editions by Roni Horn, Laure Provoust and Richard Wentworth and take home the frame absolutely free. We’ll also release a handpicked selection of rare prints from our archive. Don’t miss your opportunity to buy at this free event. Sign up to our editions newsletter and follow whitechapelgallery_editions on Instagram for special previews ahead of the sale. Whitechapel Members receive 10% discount. *Frames are ex display and sold as seen.